When will be Todd Sampson's Life on the Line next episode air date? Is Todd Sampson's Life on the Line renewed or cancelled? Where to countdown Todd Sampson's Life on the Line air dates? Is Todd Sampson's Life on the Line worth watching? Todd Sampson takes a leap of faith by bungee jumping with two interwoven phonebooks, and nothing but the friction between the pages arresting his fall. Todd Sampson puts the law of conservation of energy to the ultimate test by releasing a one-tonne wrecking ball centimetres from his face. Harnessing the incredible power of air pressure, Todd Sampson attempts to climb a 13-storey building with nothing but two vacuum cleaners strapped to his back. 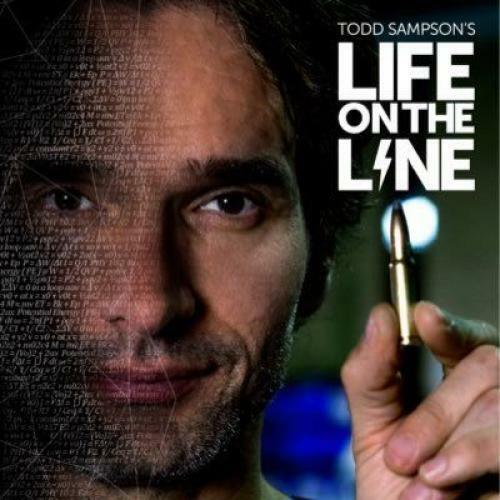 Todd Sampson's Life on the Line next episode air date provides TVMaze for you. EpisoDate.com is your TV show guide to Countdown Todd Sampson's Life on the Line Episode Air Dates and to stay in touch with Todd Sampson's Life on the Line next episode Air Date and your others favorite TV Shows. Add the shows you like to a "Watchlist" and let the site take it from there.